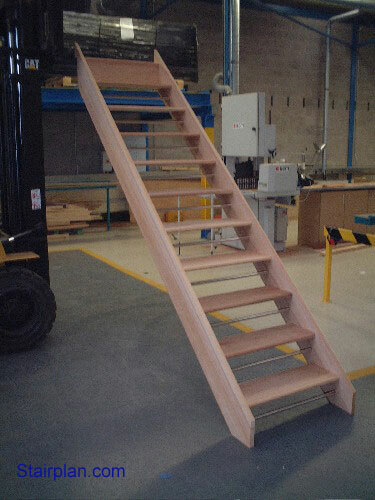 Openplan Staircases -These are staircase with open risers. 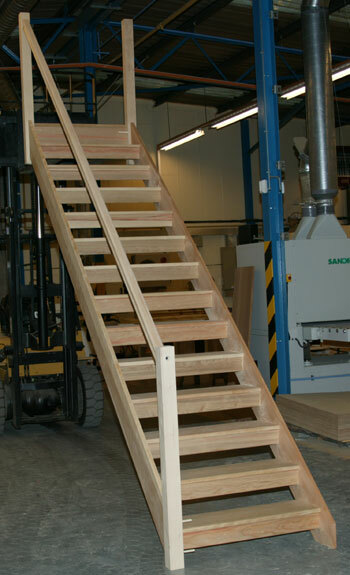 Notes :- For Building regulations the gap between the treads must not allow a 100mm sphere to pass through. 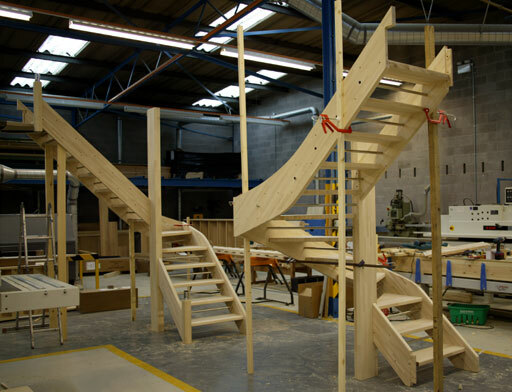 Openplan staircases offer a more contemporary feel than closed staircases. 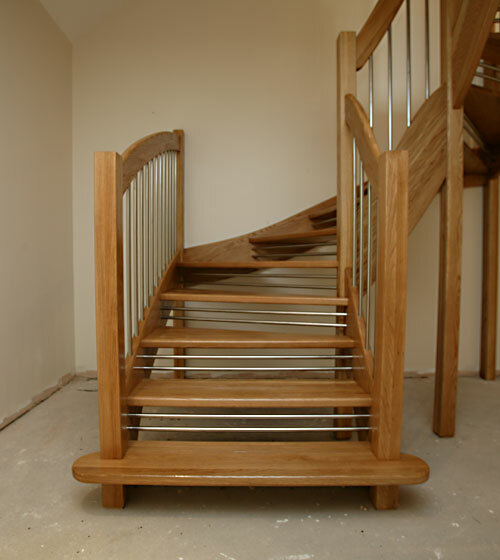 and our European Style handrails. 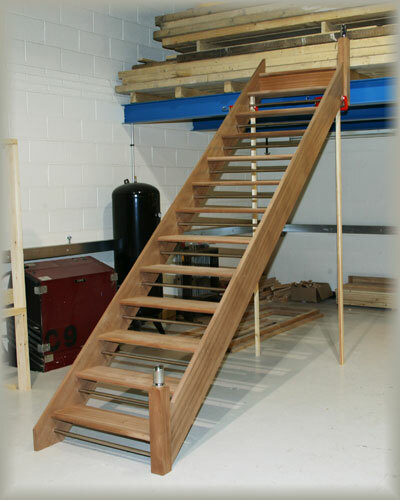 with stainless steel riser safety bars. 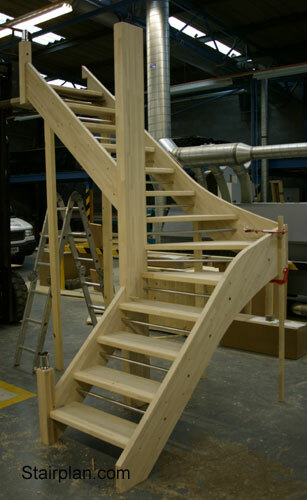 This staircase had the Fusion handrail system. of the Beech staircase above hense the large central newel post. 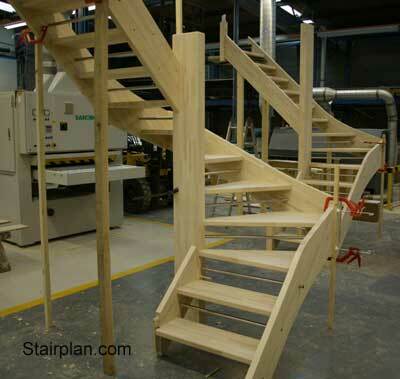 Click here to see more openplan staircases.